The late owner/breeder Joseph V. Shields Jr. campaigned several major winners, but none took him to the Kentucky Derby (G1). After his passing last October, however, homebred Country House has emerged as a classic contender for his widow, Maury, and nephew Guinness McFadden. Country House’s granddam, Shooting Party, was herself a Shields homebred who placed in multiple stakes on dirt and turf for late Hall of Fame trainer Allen Jerkens. Third to future Hall of Fame sprinter Xtra Heat in the 2001 Nassau County (G2) at Belmont Park, Shooting Party later stretched out on turf and finished runner-up in the Garden City (G1). She came closest to graded victory when third in the Pebbles (G3) over the same nine-furlong trip on Belmont’s inner turf. That margin – a short neck – kept Shooting Party from joining Shields’ other graded winners, memorably Wagon Limit, who upset Gentlemen and Hall of Famer Skip Away in the 1998 Jockey Club Gold Cup (G1). Shooting Party produced two foals for Shields before being sold, one of them a filly, Quake Lake, the dam of Country House. Quake Lake was by 2000 Breeders’ Cup Mile (G1) hero War Chant, who reinforced surface versatility. Although ninth in that year’s Kentucky Derby, War Chant had looked smart on the dirt as the winner of the San Rafael (G2) and second in the Santa Anita Derby (G1). Quake Lake scored both of her wins on the synthetic Tapeta track at Presque Isle Downs, but raced on all three surfaces during a career limited to six starts. After Quake Lake became a broodmare for Shields, her dam was proving successful for her new connections in Canada. In 2012, Shooting Party delivered a Lookin at Lucky colt eventually named Breaking Lucky, who would go on to win the middle jewel of the Canadian Triple Crown, the Prince of Wales S., in 2015. As an older horse, Breaking Lucky added the Seagram Cup (G3) at Woodbine and placed in a series of significant races, among them the Clark H. (G1), Stephen Foster (G1), and Whitney (G1). Those performances all lay in the future when Quake Lake was herself bred to Lookin at Lucky in 2015, and Breaking Lucky was still just a promising maiden winner. 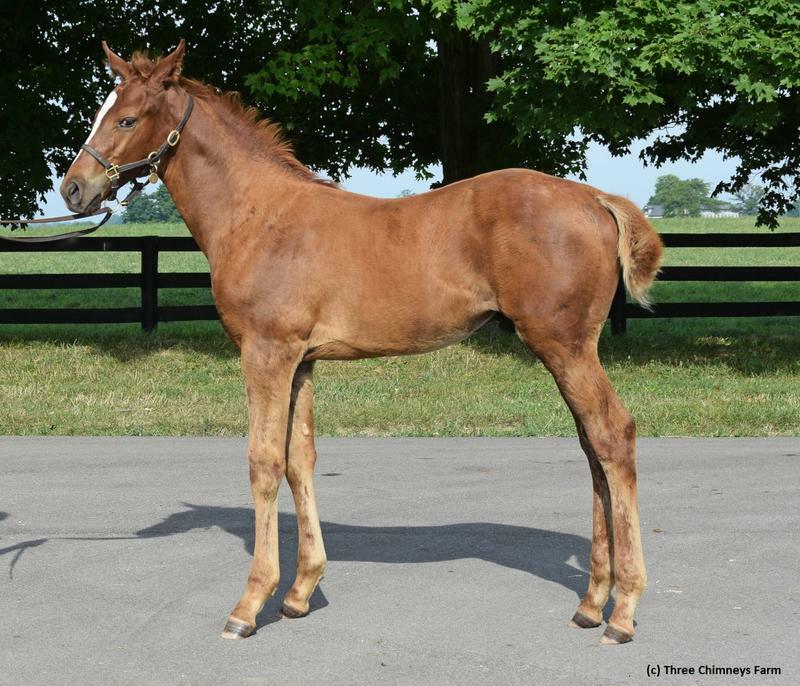 By the time Quake Lake’s chestnut colt was born on May 8, 2016, his close relative Breaking Lucky had a higher profile. In fact, the match was a natural corollary to Quake Lake’s previous season’s mating to English Channel, like Lookin at Lucky a champion son of Smart Strike, resulting in a filly named Mitchell Road. The Smart Strike angle made sense for Quake Lake because it offered inbreeding to the great broodmare No Class, as part of an overall intriguing pattern of duplications. Sadly, Quake Lake died shortly after foaling her Lookin at Lucky colt. But the foal, with the help of a nurse mare, carried on at Three Chimneys Farm through the summer and fall. Chris Baker, Three Chimneys' Chief Operating Officer, said he was well regarded in babyhood. "He was always a very likable colt physically that graded highly for our internal evaluations - good size and scope, correct limbs, naturally muscular, stylish - and, from what I can recollect, had a straightforward personality as well," Baker said. "He was considered a good prospect from early on." As a weanling that November, he changed residence to Lane’s End Farm, in the same vicinity of Versailles, Kentucky, where he spent his yearling days in preparation for the sales. 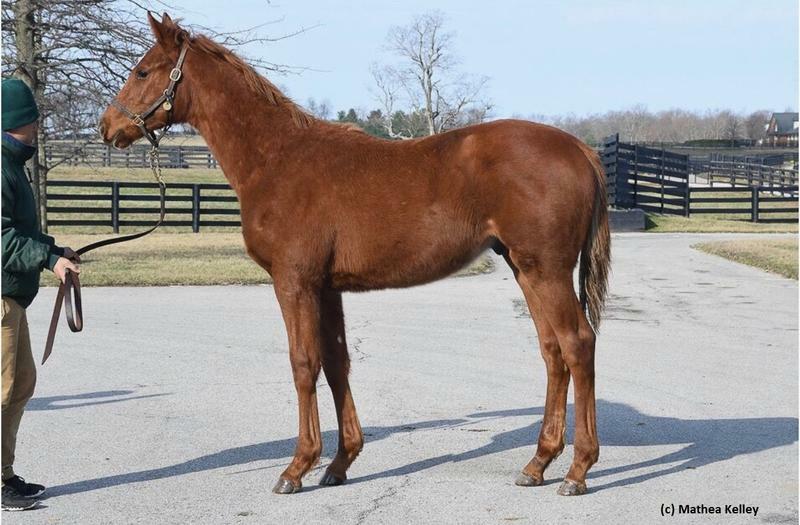 Given his relatively later birth date, it was understandable that Quake Lake’s last foal needed a bit more time to develop fully, but the early signs were all favorable, as Andy Howard, the assistant yearling manager at Lane’s End, recalled. “Upon his arrival, [the son of] Quake Lake was immature in body development, but already above average in size and length,” Howard said. “These immaturities grew into themselves and strengthened throughout prep. “This colt was always a correct, balanced and athletic individual. 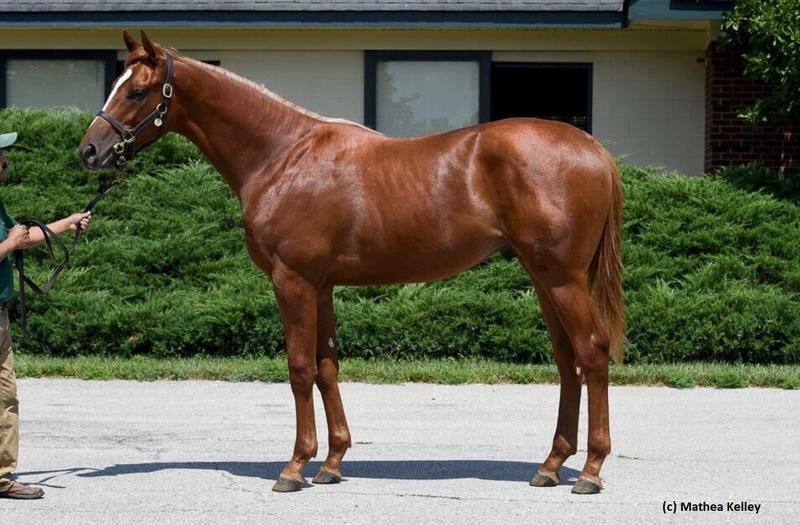 In accordance with Shields’ general policy of selling his colts, he was entered in the 2017 Keeneland September Yearling Sale, cataloged as Hip No. 2203 under the Lane’s End banner. But before touring the sales ring as scheduled on the seventh day of the auction, he’d already been withdrawn. The colt, who would be named Country House, was staying in the Shields fold after all. Country House got his early education at Blackwood Stables, co-owned by McFadden and Matt Hogan. Then he went off to school at the Webb Carroll Training Center in St. Matthews, South Carolina. Last summer, Country House joined Hall of Fame trainer Bill Mott at Belmont Park, where he was a regular presence on the worktab until ready to start. As the type to prefer a route of ground, Country House tried turf in his October 6 debut, but he broke slowly and never got involved. Four days later, “Jerry” Shields died, aged 80, in his sleep. As his obituary pointed out, it was the 20th anniversary of Wagon Limit’s famous victory in the Jockey Club Gold Cup. Country House made his next start for Mrs. Shields and McFadden. Whether it was the switch to dirt at Aqueduct, the benefit of raceday experience, or a combination thereof, he took a leap forward to finish second by a half-length. Another substantial jump came in his Gulfstream Park maiden romp, with Country House overcoming a debacle at the start to crush the field. Afterward he picked up a new co-owner in LNJ Foxwoods. That breakthrough performance also persuaded the conservative Mott to give Country House a chance on the Derby trail in the Risen Star (G2) at Fair Grounds. Although still a work in progress, as evidenced by his slow start and lugging in down the stretch, he passed the class test when second to the professional War of Will. Remember his older half-sister by English Channel, the aforementioned Mitchell Road? A stablemate of his in the Mott barn, Mitchell Road was in action herself on the Risen Star undercard, and scored a stakes win in the Albert M. Stall Memorial on turf. Now Country House renews rivalry with War of Will in Saturday’s TwinSpires.com Louisiana Derby (G2). By a happy coincidence, or providence, on the same day Gulfstream Park honors a past Shields colorbearer, Any Limit, with a stakes race named after her. Might that be an auspicious sign for Country House? Whatever happens at Fair Grounds, Country House has the profile of a talented horse who thrives with maturity, over the long haul, just as Shields would have loved.